Because yes, it really is October now. 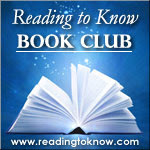 This month's book club selection was picked by Rebekah at Bekahcubed. She will also be hosting the discussion of said book. Here are her opening thoughts. The Christian radio station in town scheduled Ravi Zacharias for the 9:00 slot on Sunday morning, which meant we listened to the first half of "Let My People Think" on our way to church every week during my early teenage years. I remember enjoying Ravi's teachings, but don't remember much of what he said--except for one thing. On more than one occasion, I remember him recounting the basic plot of Oscar Wilde's The Picture of Dorian Gray. I was enthralled by the story as told by Ravi Zacharias--a modern day Faustian tale crossed with Ecclesiastes. A young man wishes that a portrait could age while he remains young and innocent-looking. When he first sees the ugly effects of sin upon the portrait, he locks the portrait away and lives a life of excess without minding the consequences. He lives a life of hedonism, unchecked by any external flaw. He remains beautiful, young, untouched by the horrible things he has seen and done. But one day, he enters the secret room, sees the hidden portrait, and discovers the effects of his life--a twisted, hideous portrait of his inner evil. I don't know if Zacharias said it, or if it's just my memory inserting words in Zacharias's accent, but I imagine Zacharias's British English with an Indian accent pronouncing, "Meaningless, meaningless. All that pleasure worthless. And he fell on the picture with a knife, only to fall dead-a victim of his own pleasure." It was a wonderful tale, a powerful tale. I vowed that I would read it. Every time I made a list of books that I absolutely *must* read some day, I included The Picture of Dorian Gray on the list. In my mid-teens, I picked up a copy of the book at the annual library book sale, determined to read it at last. I didn't. 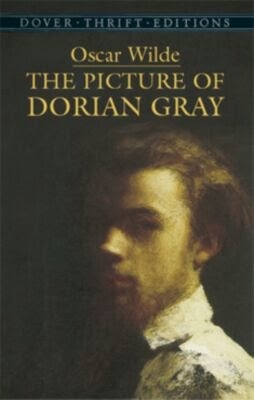 I'd bought that with my mother's money (she didn't have time and I didn't have cash, so she sent me with money to the sale to pick up items of interest to the family)--which meant that when I left home for college, I left The Picture of Dorian Gray (Dover Thrift Editions) at my parent's house. The book was still on my list of books to be read, and I thought of reading it every so often, but never when I was at the library--never when I actually had opportunity to pick up another copy. Then Carrie asked me if I'd be willing to lead a month of discussion for the Reading to Know bookclub--which meant picking a work of classic literature to discuss. I thought through the classic books I wanted to read, read through my endless lists of books-to-read-someday. I wondered if The Picture of Dorian Gray would work, proposed it tentatively because I had an inkling that it isn't necessarily squeaky clean (Wilde *is* an interesting character, after all), and was ecstatic when Carrie responded back in the affirmative. I would lead a discussion of Oscar Wilde's The Picture of Dorian Gray. I put the book on my Christmas list, received a beautiful new copy from my in-laws, and settled in to see if it was everything I'd hoped for. Peoples. This book is definitely worth reading. I was right that it isn't squeaky clean. Gray's character is less than stellar and there is plenty of muck (although generally presented in a tasteful and non-explicit way)--but the story is powerful and thought provoking. I'd love for you to join me as I re-read this month and grapple with some of the topics Wilde brings up in this classic work. Will you? Read it along with us, that is? I'm so looking forward to it and was ecstatic when Rebekah picked it as her choice. I have never read it but have vague recollections of seeing a few moments of the movie version (the one with Angela Landsbury in it) and I've always been curious. Very much looking forward to this read and hope you are also! I really want to read this one! We shall see. . . Yes, I am hoping to read with you all this month. Thanks, Rebekah!! And what a neat story. I should have read this one in High School as well, but never got to it. I do like Oscar Wilde (one of the most quotable wits ever), so I am looking forward to it. I read/listened to it earlier in the year, forgetting that it was on the book club list, so I am looking forward to hearing everyone's thoughts at the end. I was really excited to see this title on the booklist, this is one of my favorites of Wilde's. I hadn't heard Ravi Zacharias' account but I love his teachings and have many of his books, now I will have to see if I can find the podcast! Oh yes, how I hope I can find time to read this month (I've missed the last several unfortunately!)! I, too, have had this one on my "want to read" list for some time.